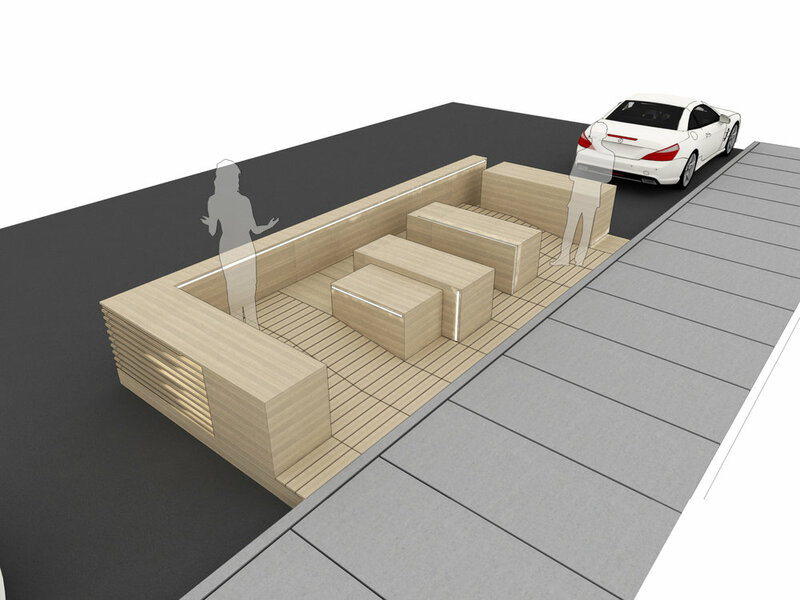 We feel fortunate to have had a formative role in the development of the streetside patio pilot project that the City of Ottawa began this past summer. These patios reclaim the area taken by parallel parking spaces and converts them into important urban interventions. 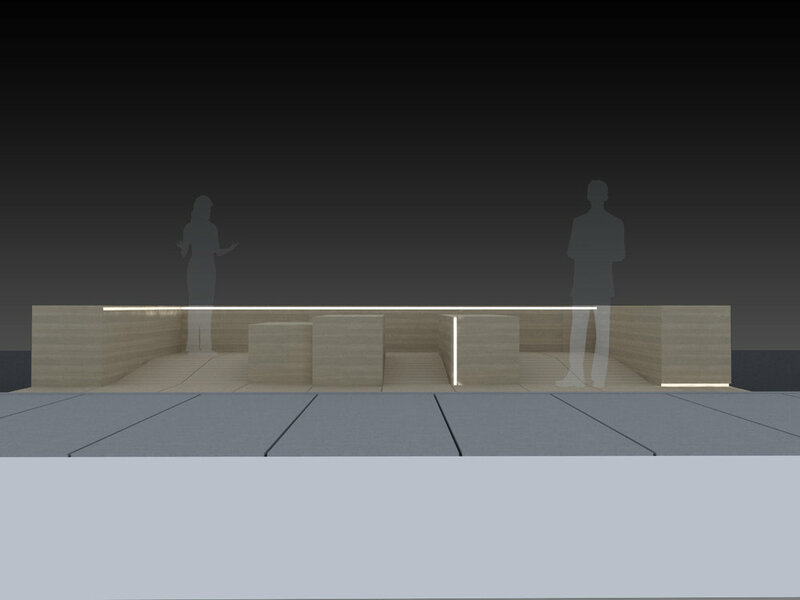 Our original designs were intended for a parklet that would serve a community function, and would act as a place for a pedestrian to stop and observe the urban environment from a new perspective. Ultimately, the streetside patio that was built served a commercial purpose, acting as the largest of it kind in the city and giving a patio to a number of restaurants and bakeries in the By-Ward Market. This patio took a 'dead-zone' of the Market and transformed it into an active social destination.